Want a 4x4 this year? Then check out our guide to 2018's top five 4x4s. 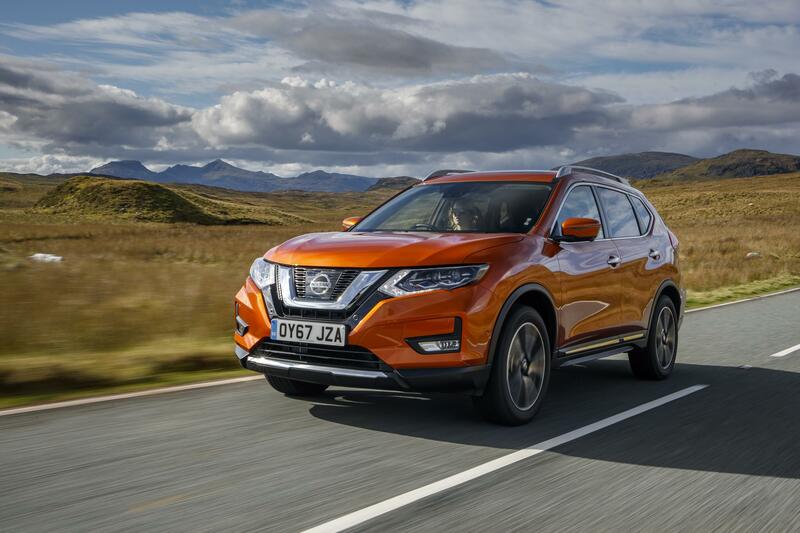 2018 is bound to be another year of SUV success within the car market. Little is expected to change over the next few years, so let’s look at the very best 4x4s available in 2018, and pick out the one we think is the most awesome using a simple comparison system. Science, innit? Here are our picks for 2018. Keep reading below this list to see what these 4×4 motors are all about. The BMW X3 has been around for quite some time and has always had a decent reputation amongst motoring critics and owners. BMW has just launched the new X3. 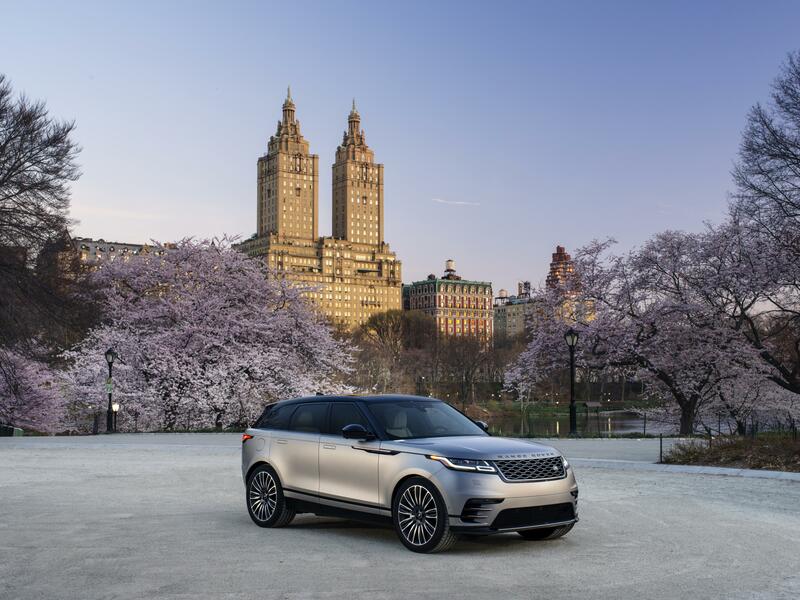 It’s more of the same as before, really, with a luxurious, complete package that is set up for road use only, even if it can do a little off-roading. It’s safe, economical, and well-equipped, but very expensive towards the upper-levels of the X3 range. MPG: Expect 50mpg+ from the ‘20d’ engine – impressive. CO2: 132g/km from that 20d engine again, it’s the engine you want for a reason. Decent CO2 output. Off-roading: Limited, but exceptional in bad weather. Alfa Romeo is back with its first SUV, and it’s done really rather well. It’s pretty, it’s great to drive, and there’s even a super-powerful ‘Cloverleaf’ version on its way for those who’ve got a high proportion of petrol in their veins. This is an excellent effort at a road-only SUV. MPG: The 2.2-litre diesel with 4WD should do an easy 50mpg+. CO2: 124g/km from the 2.2-litre diesel, slightly better than the BMW X3. Off-roading: Not really, but brilliant on road and good in poor weather. Skoda’s new Karoq is essentially a VW Tiguan offered at a lower price, and that’s no bad thing. No SUV is particularly cheap, but the Karoq – while not as much fun to drive as a Stelvio or as luxurious as a BMW X3 – is a good bet for families on a budget. Expect good offers from Skoda too. MPG: Over 50mpg might be difficult, but not impossible. Expect late 40’s. CO2: 137g/km – about right for another 2.0-litre diesel engine. Boot space: 521-litres is almost on a par with the more expensive Stelvio. Off-roading: Limited, but 4×4 technology makes this a safe car when the going gets tough on-road. 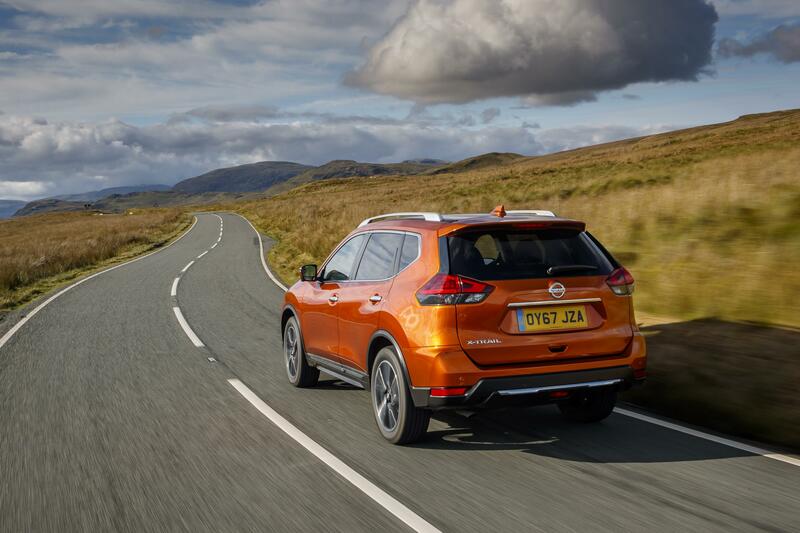 Nissan’s updated X-Trail is a car building on the platform of the model being the best-selling SUV globally. It adds extra levels of refinement and more features, but nobody is claiming it’s fun to drive. It’s lacking in power, but it makes up for it by having a great ride quality. MPG: Worst in the group here, early 40’s at best. CO2: Worst again, but not terribly so. At 162g/km it’s hardly ripping the ozone layer apart by itself. Boot space: Largest capacity here but not by much – 565-litres. Off-roading: Better at it than you might think – possibly the best in this group. The most expensive, most luxurious car in this test and, as expected, it looks and feels more special than the cars it’s up against here. 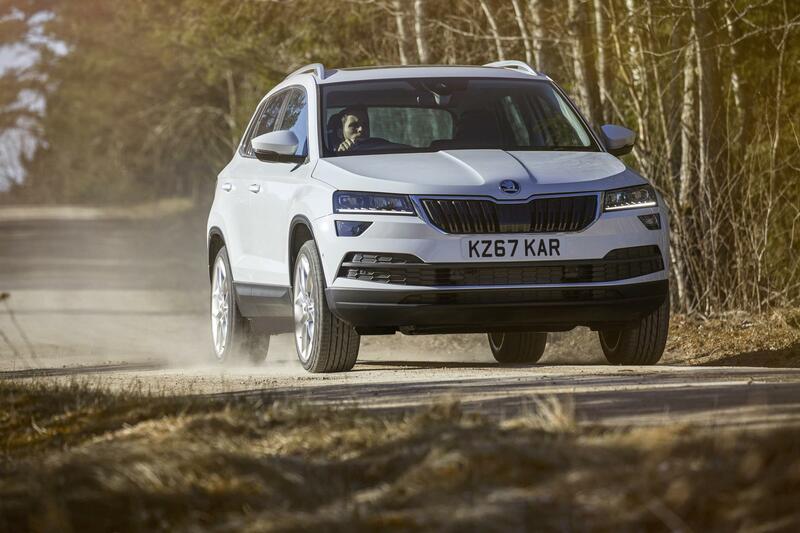 That comes at a price though – you can get two Skoda Karoq’s for the price of the Velar. It’s a different class altogether. Despite being similar in mechanical design to the cars listed here, it’s not really a rival for them. If you’ve got the cash, though, then eat your heart out! MPG: Early 40’s is what you should expect, though it’s considerably more powerful than the Alfa Stelvio with a very similar engine. CO2: 154g/km – good for the power output. 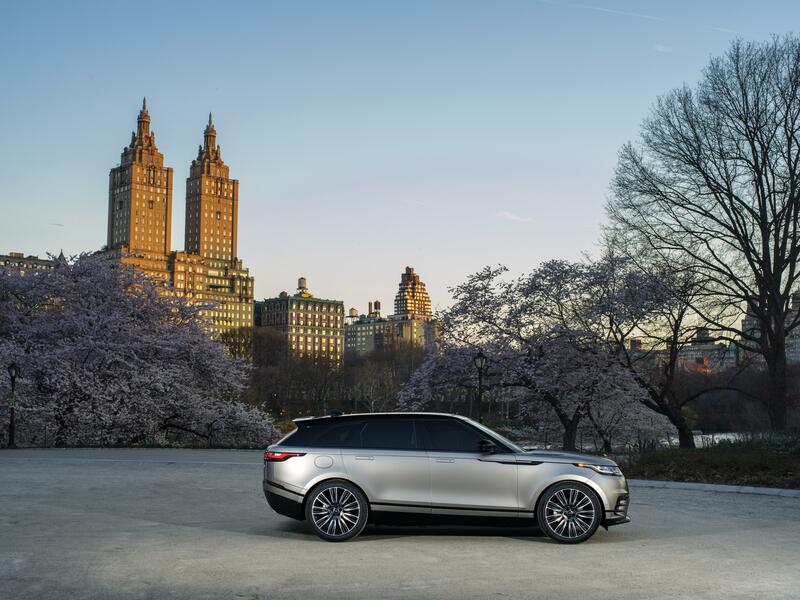 Off-roading: Range Rovers are decent off road, but this isn’t really a car you’ll want to rough up. 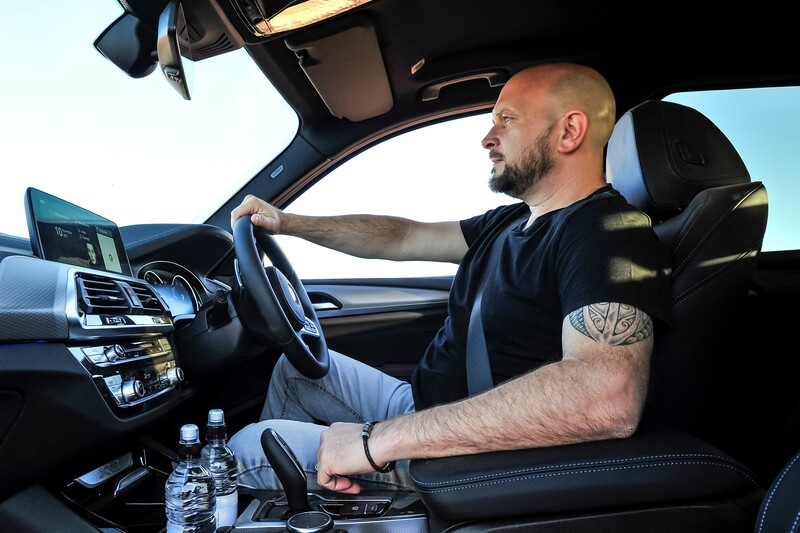 Carsnip’s editorial chief, Tim Barnes-Clay, says: The Alfa Romeo Stelvio is my favourite from the cars here, although I do appreciate the luxury and finish of the new Range Rover Velar. The Alfa is well priced, great to drive on the road, and I’m still not convinced that off-road ability – or lack of – is a reason not to purchase what is predominantly a road car for 90% of buyers.